In previous post, we discuss about how to create JMS queue on standalone and cluster server. 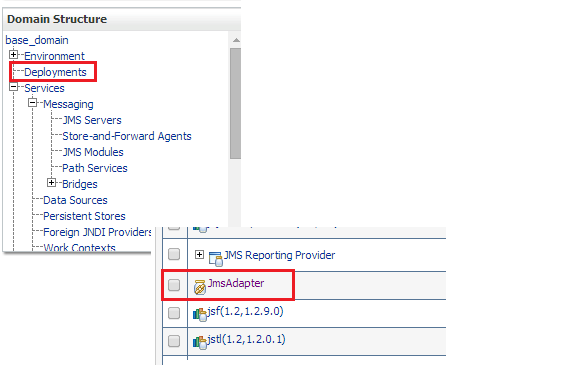 In SOA when we use JMS adapter, we need to have three things JMS Queue, Connection Factory and Outbound Connection Pool. We are provided with default Connection Factory and Outbound Connection Pool so if we are not having any custom properties to set. In this case we need not to create new Connection Factory and Outbound Connection Pool, we can simply use below default CF and OCP. If you want to create custom Outbound Connection Pool then follow below steps. First we will create custom Connection Factory but you can also use default one. 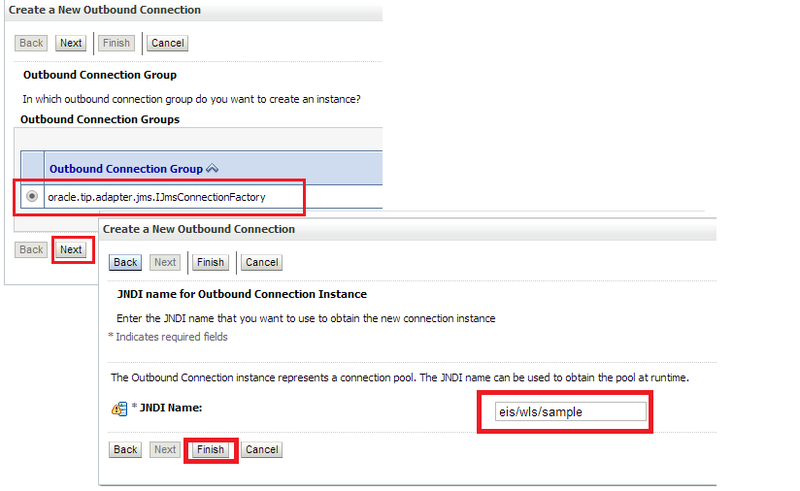 To create Connection Factory, you need to follow same JMS queue steps, instead of queue you need to choose "Connection factory" and provide CF and JNDI name. Once you are done with Connection Factory then you need to create Outbound Connection Pool. To do that go to "Deployments" and choose "JMSAdapter". 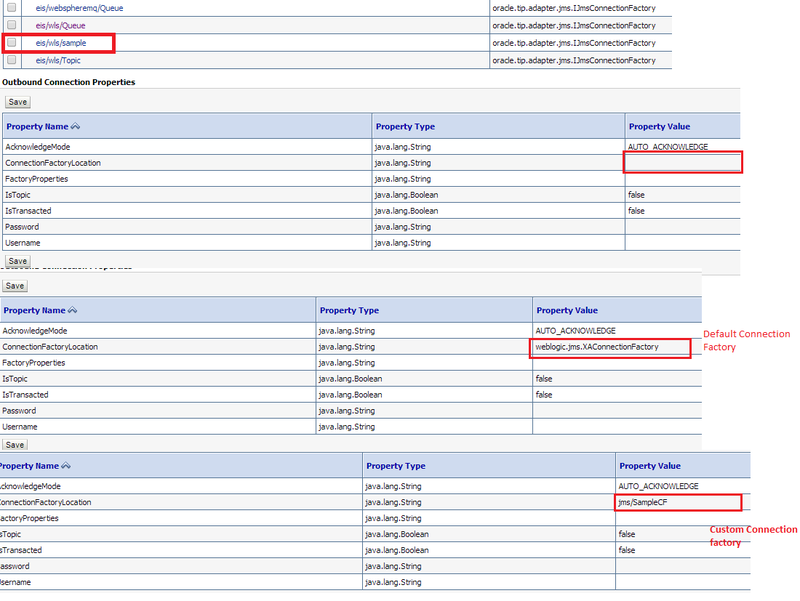 Then go to "Configuration" --> "Outbound Connection Pool" and click on new. Provide JNDI name and click on finish. Outbound Connection Pool will be created. Now you need to specify Connection factory JNDI name. If you are using default Connection Factory then provide default Connection Factory JNDI otherwise provide Custom one.